Two crops or one? Sometimes, growing two crops simultaneously on the same piece of land – called intercropping – can benefit farmers. But it needs careful planning and resource management. In some parts of Africa, farmers intercrop sorghum – a grain – and peanuts. But they face a major information gap. There hasn’t been much research on optimal levels of fertilizer use for intercropping sorghum and peanuts in these areas. A new study has filled this information gap. 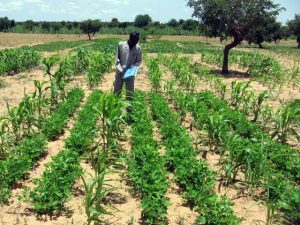 Researchers from Niger, Mali, and the United States have developed a method to help farmers determine how much fertiliser to apply when intercropping. Project Progress Update from Dion Garrett: Where am I?